This week has been full, in such a good way. From the being able to attend Teach Them Diligently to things our family is immersed in, life is full and it is lovely. That is just what this book is about though, living your whole life in a holy way that is pleasing to God and brings life to you. What a lovely idea. The title of the book, More for Mom: Living Your Whole and Holy Life, really says what the author, Kristin Funston, wants you to see in your life – something that is holy and whole. A life wholly dedicated to being the holy being God created you to be. As an adult with a family (yes, the book is written to moms but dads fit this too and could use the encouragement), there is much going on in our lives. For us, it is all chosen carefully in ways that will help us use the gifts God has granted each of us, even down to the 10 year old. We all have things to do that please God and we need to be aware of that. If we are neglecting God and His word and will through all of the using of the talents, abilities, and gifts He gives us, we have missed the boat, y’all. That is what Kristin is trying to get us to see. No matter what we do, if God isn’t first in it, there is no real purpose in it. The book has 210 pages, broken into three parts and 10 chapters. Part 1 is the Whole and Holy Mom. Kristin looks at all of life here, the things that push and pull us and what God’s will and way is. We crave God in our lives and when we search for things to fill that craving that aren’t God, our lives are not whole. Part 2 is Living This Mom Life. These five chapters talks about the way we live our day to day lives, what we see or don’t see, what we do, how we interact, and wear ourselves down. But in all of it, there is the redeeming factor of God. Part 3 is titled More for Mom. This is where the true meat of the book is and where it got really challenging for me. Life is full and it is good. But can I find ways to do more? Wait, you say – more? Yes and that is what Kristin is challenging us to – asking God to give us MORE – more peace, more joy, more hope. We have to find MORE time to do what God asks us to and He will give us MORE. The challenge in this for me was that I can easily look at my life and say “but I am already . . .” I am ready to say I am doing enough. I feel whole and holy. That is where the problem is though – I should not stop when I fell whole and holy. I need to ask God to give me more – more empathy, more understanding, more patience, more hope, more joy, MORE. And there are three ways that Kristin talks about doing that. More Time – I need to spend more time in God’s presence: in His word, in prayer, in focus. Prioritizing time with God is a needed and necessary thing. Just because I already am doing this doesn’t mean I should call it good. I need to do more. And there was great encouragement to do so here. More Fasting – I have never quite understood this idea of fasting but Kristin’s chapter here has me desiring to study it more. I have never thought of it as a way to see MORE of God but it is an example Jesus gives us that I am going to study more. Fasting is often thought of as a food thing but Kristin reminds us that a fast can include many other things that you need to eliminate that take you away from focusing on God. Her idea of taking apps off of your phone if you tend to spend too much time there or of taking a different route when you are driving if you tend to stop off somewhere for a snack or drink or spending money are genius for removing distractions that lead us away from God. As I mentioned, more time will be spent on this idea. More Life – “Life is Who we allow to complete it, and our body is Who we allow to fill it.” This really resonated with me because it encapsulates the idea of this entire book – God should be the focus of every part of our life because life is not small sections that are separated from one another. It is a whole life, filled by a whole God, to serve Him in a holy way. And we need to live it that way. God completes our life when we allow Him to fill it up with Himself. This is a really encouraging book to read that helps me see His way more clearly. It is easy to get complacent and say “But I’m doing (fill in the blank).” I may have some fabulous habits in place that help me spend time with God. But if I step back and allow those habits to hold me up, I am not serving the living God who wants to be active in my life. More for Moms helps me see that I get more when I ask for more. It isn’t about more from the world but about more from The One who I serve. May you be blessed as you seek to live your whole and holy life. We have an upcoming review that is a book on the life of Elizabeth Prentiss. She is the lyricist of the hymn More Love To Thee. This is a solemn, heart-felt plea to God to bring the singer closer to Him. The words show the depth of earthly pain that is felt while understanding that God can use that to bring us deeper into His love, into His heart. Before reading the biography on Elizabeth Prentiss, I had heard and sung this hymn often. It is deep and rich if one takes the time to consider the words of the hymn and truly sing the words as coming from your own heart. A beautiful hymn. This is a compelling little book that was handed to me by my MIL the other day. She just said “Do you want to read this? It looks neat but it is way down in my pile and I can’t read it yet.” So I did. It grabbed me from the beginning and I was riveted. We meet Camille at the beginning of the book and are quickly introduced to her hectic, busy, unfulfilling, unhappy/happy life. She is married to one she loves and has a little boy. They have a good place to live and she has a solid job. But she is feeling out-of-sorts, discontented, and unhappy. Which doesn’t make sense to her with such a “good” life. On the day we meet her, she has an accident with her tire and ends up in the middle of nowhere knocking on a stranger’s door. And with all that has happened, she ends up pouring out her story and discontent to him. And he responds incredibly – I can help. He listens and offers her his card. From there, he tells her that he understands (sometimes that is the most powerful part, isn’t it?) and that she can change her life. She is intrigued and contact him for help after she gets back to the city. What she finds is someone who wants her to success, to have a “happy” life, and a listening ear. She also finds significant encouragement and unusual tactics that help her focus, change, and redirect her thoughts and her life. By the end of the story, we find a new Camille – happier, directed, focused, healthy, and energetic. She knows who she is and what she wants. So many of the ideas and life changes are things that the reader can relate to. They can be addressed and changed in the reader’s life, as well. I find that fascinating. Yes, this is a novel but there is much to be learned from the approaches and the ideas in this book. If you are feeling rooted in discontent and want to find a way to redirect your life, pick this book up and give it a read. The ideas just might help you challenge your status quo and become someone you really admire and want to be. You just might end up following your dream. Visit Ladybug Daydreams, if you have a moment. I don’t know if Wendy is able to post for the Book Club this month or not but I’d love it if you would visit her blog for a moment or two. Today is one of those days, you know? The ones where it is a good thing you know your heart because the reality is a bit tough. 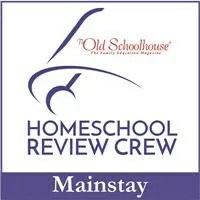 Today the bloggers of the Homeschool Review Crew are taking a look at the many, many reasons we are thankful to be going Back to Homeschool. Right now, there are many pictures that show students returning to school. Parents are often jumping up and down and shouting about how glad they are to have their time back with the kids gone all day. There are plenty of articles talking about how good it is to be done with summer and not have the children “underfoot.” Not having to deal with babysitters or figuring out how to keep the children occupied. And seeing all of this, reading these things – my heart breaks and is joyful at the same time. I want to share that joy. Joy that we have our children around us. Yes, even all day, every day. Yes, it can be hard but I am so thankful that our children are being taught good things that don’t undermine God and His word. They are being taught how to be God’s children, to think and reason and learn, how to discern, how to find strength and hope in the world. Joy that our children are together. They enjoy each other’s company. Truly! They argue and fight, just like any sibling but when it comes down to it, they love each other deeply and support each other. Right now, school finished for the day by two of them, I hear them in the bedroom, laughing and giggling and sharing together. They will wait patiently (or maybe not so patiently) for each other to get their work accomplished so they can spend time together – maybe in reading or crafting or drawing or any number of things that they would not have time for were they in public school. They will pitch in and help each other, even when they don’t have to or need to, just so they can then do something together, like play a game. Joy that we have the flexibility to tailor their learning to their interests and needs. I wrote about this a little bit with the Take a Look Tuesday post. All three of the girls have had a say in what they are learning this year; often in how the learning happens, though there is definitely some “I want to learn about this” stuff going on. We can fit in the things they are interested in and help them discover who God created them to be. Sometimes, I’m not so good at that as I struggle to make sure they are learning the things they need for life but they still get that independence for learning. Joy that I can see their growth and celebrate their milestones. I get the joy of seeing them make their little milestones – get that cursive letter formed right or remember that Bible citation. But I also get to see their big ones – when they learn to drive (not there yet but it is on the horizon! ), when they discover that thing that they get super excited about, when they realize that math isn’t such a big deal and chemistry is lots of fun. I get to encourage them along the way and see the baby steps that turn into the giant leap of understand. Joy in seeing their social growth and responsibility grow. I get see my kids grow up. Not just the few moments in the evening after school and activities and homework. But each day – I see them chat with the older widows and widowers at church; I see them help the struggling mom at church with her baby; I see them keep the younger children safe while playing; I see them engage children both younger and older than themselves in games and conversations; I see them reach out to someone to ask a question; I see them approach the adult behind the desk at the store or the library to confidently ask for help; I see them order their meal; I see them act responsibly when they could easily pass it off on someone else; I see them save their money for something important like a gift for someone else. These are the little things that I get to see each day because they are with me when we go to the store or the library or many other places. Joy in seeing them discover. I get to take the girls on field trips and this allows me to see them discover the world. I get to see them discover how bubbles work or how electricity flows or how to balance a bicycle on a wire high above the floor. I get to see them crawl over lava flows and study the rocks and plants. I get to see them figure out how to make lunch for everyone and see them offer to do it when they don’t have to. I get to see them hike a mountain path and explore the plants that are a bit different from where we live. I get to see them find new books and authors and ideas at the library. I get to see them discover sodas and the Titanic and sound and monuments and national parks and so much more. I also get to see them discover their own abilities – in dance, in cooking, in cleaning, in helping. This light bulb going off, these moments of discovery – they are a highlight of homeschool. You know – now that I have started pointing out for you many of the good things we are thankful for in our education choice, my day is brighter. And this is another joy – getting to show the girls that a bad day or a bad moment doesn’t define you. And it doesn’t define our education. That bad moment right before I started typing this? Well, it has dissipated and we are now joyfully engaged in a game of mancala. Experiencing life and learning (lots of learning in that game) together. With JOY! There are more than 40 homeschool moms writing encouragement posts today on this Thankful Thursday! I encourage you to visit the anchor post for the Crew and also some of the ladies’ blogs to gather more encouragment to yourself. You can do that by the linky on the Crew blog or by visiting some of the blogs below. Look around you. Look at each of the faces you guide and teach and journey with. This is your motivation. Lots of people ask us why we homeschool and we have plenty of answers. Are these precious faces and lives your top answer? Today, as we begin this week of homeschool encouragement with the Homeschool Review Crew, take a moment to pray. Pray for each of the blessed children under your care. Pray for the guidance and wisdom to parent them with love and grace. Pray for the inspiration to help each of them find their individual path and to walk it with courage and bravery and confidence. Pray for each of the children – that they will grow in wisdom and knowledge and hope and love and kindness. Pray for others who are struggling along this path, whether it be for medical reasons, lack of confidence in themselves, or a million other possibilities. Pray for your homeschool and others you know. God answers pray. God gives peace. As we traveled last week, the girls put on a CD titled The Music Machine. One of the songs is about peace and one line in it has kind of stuck with me for a few days now. Peace, peace, I think I understand. Peace, peace, is holding Jesus’ hand. Today, as you journey into another season of education, I am praying for you – that you may be holding Jesus’ hand and experiencing the peace that only He gives. May your homeschool be filled with peace. There are more than 40 homeschool moms writing encouragement posts today on this Motivation Monday. I encourage you to visit the anchor post for the Crew and also some of the ladies’ blogs to gather more encouragment to yourself. You can do that by the linky on the Crew blog or by visiting some of the blogs below.